The many ways prospective employers blow it! I’ve just read an article entitled ‘The five ways job applicants blow it!’… Great stuff and all points that prospective employees should take into account. It’s also important for employers to be aware of the ways they can blow it too. 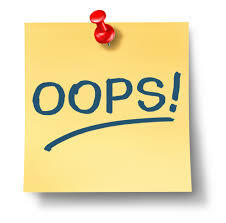 I have called this article ‘The many ways prospective employers blow it!’ because I am convinced there are more than 5. So here goes…. The competition for top talent is fierce – keeping top talent and making sure engagement levels are high is a key factor to success and bottom line impact. So what can employers do to make sure they attract and retain the top talent – or rather, what should they not do? Here are some major booboos! Failing to recognize that talent acquisition is a two way process. Too many organisations approach talent acquisition as if it is a privilege to work for them. Whilst there may be some anomalies in the job market many organisations find it difficult to attract talent – this can be to senior positions as well as to their apprenticeship schemes. Making the job out to be something it’s not in the advert! We often hear of people leaving a role fairly quickly because the advertisement has asked for something the role can’t deliver. A classic example is ‘creativity and innovation’ when every decision has to be referred to the host company and takes months to be acted upon. Entrepreneurship is another – let’s be honest true entrepreneurs do not work for large organisations. What the role probably requires is the ability to take initiative, to work autonomously if necessary and maybe a level of optimism about the future. Not saying ‘thanks but no thanks’ to unsuccessful applicants of the first sift. Such a simple step that can do wonders for the company brand. Resorting to subjectivity at the interview stage. Eligibility factors are easy to measure and check. Interviews are often conducted on a subjective scoring system with the results being calculated and discussions taking place following the interview. Behavioural questioning can give some indication of a person’s willingness and ability to perform in a variety of scenarios but it can’t measure working preferences which are the real indicators of success. Trying to fit to role by personality testing. Personality testing has little to do with job success. Failing to fit with manager/leader. All too often employers fail to match their new recruits to the style of the manager causing friction and mismanagement and often resulting in the newly found talent moving on to pastures new. Failing to check engagement and retention factors. What actually motivates new talent is not always the same. It is important to find out what the engagement factors are and be honest if the organisation cannot satisfy them. 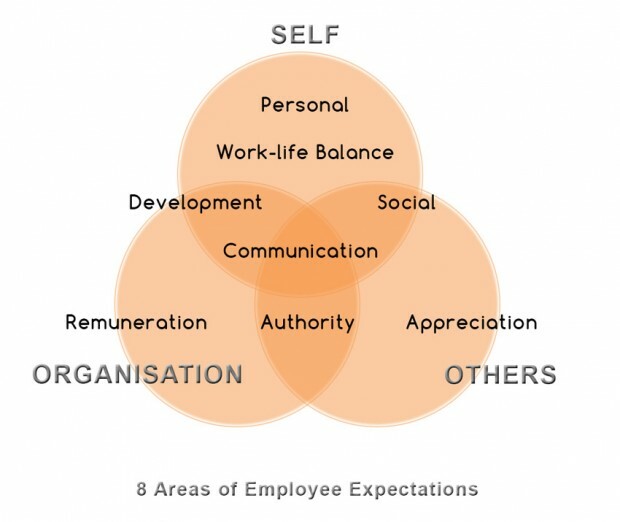 What are the employees expectations in relation to development, appreciation, remuneration, communication, authority, social, personal needs and work life balance? Failing to satisfy the GRT of expectations. According to Kevin Kruse the best talent is generally looking for 3 things – growth, recognition of input and ideas and trust – trust in them and the ability to trust in the organization. Next Monday is Blue Monday. Are you ready? Every year January is the month when job boards and recruitment agencies launch their “New Year, New Job” campaigns – why? January is the busiest month for starters and leavers with the third Monday of January in particular known as Blue Monday, the one day when more employees hand in their letter of resignation than any other day in the year. However, research from HR Magazine suggests that effective employee engagement in the UK could be faltering with more than a third of us saying that we were not motivated at work during 2015. Organisations with a good employee engagement and retention strategy can cascade retention and turnover KPIs to quantify the overall metrics and financial returns. However, even with these investments organisations still lose their best talent to the competition because of the limitations of high-level engagement surveys; specifically they do not look at an individual’s real engagement factors. Asking the right questions, and analysing each individual employee’s real engagement factors ensures managers and the wider organisation provide an environment that retains the best talent. People want to feel recognised but there are other factors that need to be understood if they are to further engage in their work and the overall success of the organisation. Most employees who are engaged, or want to be more so, also expect to be kept informed of what is going on in the organisation they are working for. This can be particularly problematic during times of change when, for instance, departments are being reorganised or new initiatives and products being released. Meeting these expectations is vital for companies that want to promote better employee relations and a higher sense of well-being. One of the major reasons that top talent leave a particular company is the person in charge. That could be because the employee feels unappreciated or that they are being ‘held back’ in some way and it could mean that the person in charge is simply not very good at handling people, particularly those with obvious talent. The CIPD quote a survey last year by B2B marketplace of more than a thousand employees, over a third said they thought their manager was a bad boss. Most employees expect a manager or boss who is responsive, understanding and helps them do their job well. Employees will have varying expectations of the kind of personal help they want or need. That may just be to ease things during busy periods with access to additional staff or it might be finding ways that fit in with their career expectations such as job development or a better work-life balance. It can also include employees who need additional help such as those with a disability. Employees who are constantly in fear of losing their jobs or being undermined in the office are likely, of course, to be less engaged than those who feel they have a stable career pathway. Top talent are usually looking for some way to progress their future employment prospects and have high expectations of a stable career pathway that meets their needs and those of the organisation they work for. Managers can measure employee expectations, the intrinsic behaviours that drive individual and group engagement, by analysing the 8 key areas. This helps to understand any differences between an employee as well as looking at the overall group or team’s expectations. These insights facilitate the essential dialogue between employee and manager, fostering a shared responsibility for engagement to build a culture of employee engagement. Managers can use the Manage, Develop and Retain report as a guide to getting the best performance out of an individual member of their team, and shows how mis-matched communication and management styles could potentially demotivate a talented employee. Instead the report suggests how best to develop and engage the employee, what type of tasks to delegate and behaviours to watch out for that could impede performance. Assess employee engagement factors for individuals and groups with summary dashboards and detailed reports. This employee engagement white paper will outline why this is the case and what is needed to achieve a greater impact on organisational performance. It includes some key areas relating to engagement in the workplace and a crucial 3-step guide to assist with the application of engagement analytics. By David Steele, Harrison Assessments Consultant. Hiring the right people isn’t just about recruiting the people who have the technical abilities you need, it’s about engagement, and finding those people who will enable your business to succeed. Why discuss engagement, when talking about recruitment? Because it’s almost impossible for a person to be engaged at work, if they are in a job they are not suited to. Business owners need to get educated on the benefits of engagement which include improved efficiency, reduced costs and increased productivity. To start getting engagement right, we have got to get recruitment process right. Read on for full details…….